The Mill is operated by Sara Hill, Director of Entrepreneurship at Work In Progress. 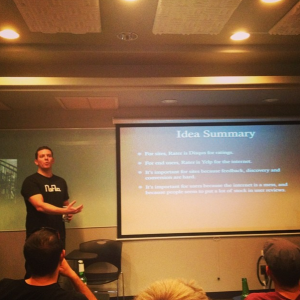 Never heard of The Mill and what they are up to in the #VegasTech community? Get the skinny here. Each month, Sara Hill and the Mill participants (dubbed “Millers”) put on an event called The Grind. Sara Hill and the team at Work In Progress say they hear that The Mill has been a great motivator for entrepreneurs, oftentimes building their first company. Sara Hill says that old Millers will tell new Millers one big thing: Focus focus focus! “Talk to your potential customers/users. Remember you’re building something for them, not yourself,” she advises. Interested in hearing from a Miller first-hand about their experience in the program? Check out this interview with Stephen Conn.
About The Mill: The Mill is a place to test your ideas in downtown Las Vegas. As their website reads, we were an economy of factories. Now, we’re an economy of ideas. The Mill was the center of economic development. It was a place that transformed cotton into cloth, grain to flour, ore to steel. The mill changed the landscape of our economy once, and now Work In Progress’ new program The Mill is changing it once more! About Work In Progress: Our mission is to provide startups and creative thinkers with tools to inspire creativity and innovation. The tools we build include powerful events, useful partnerships and collaborative workspaces. Whether you work from home, an office or from one of our workspaces, Work In Progress provides access to a support network of experts and mentors, learning events and partner discounts to help you create and innovate.